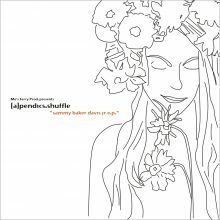 [a]pendics.shuffle – one of the most occupied U.S. producers for minimal techno these days comes up with his 2nd release on Mo’s Ferry Prod. “The sammy baker davis junior e.p.“ is filled with 3 tracks all of them more or less straight but none of them is missing his shuffle factor. B1 has a very nice and a little bit freaky bassline. Once again his way of using short and broken vocals, especially in the free webtrack (visit www.mosferry.de for download), is close to perfection and results in a cool bundle of tracks very typical for the Mo’s Ferry „frickel sound“.